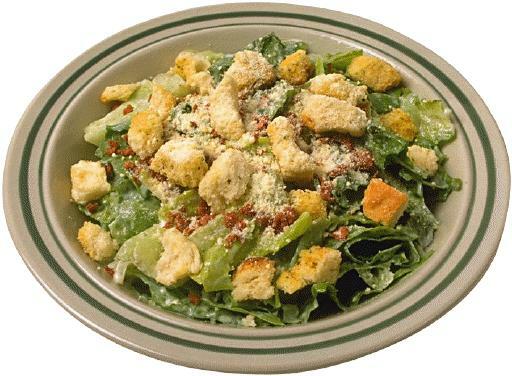 Caesar salad is a type of salad that was originally invented in 1924 by Caesar Cardini, a chef who lived in San Diego. Today there are many varations of the salad that have been produced. For example, Caesar Cardini's original recipe did not include anchovies (instead a flavor of anchovies came from Worcester sauce). let alone grilled chicken or capers - however, these are now common, and popular elements in Caesar salad. 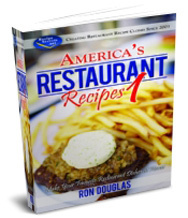 Additionally, many recipes for Caesar salad use raw, lightly cooked, or coddled eggs - but other recipes (including the one on ths page) avoid them because of the risk of salmonella. If you are using homemade croutons, prepare them first (garlic crouton recipe), and allow to cool to room temperature. Rinse, dry and then roughly chop or tear the Romaine lettuce (Romaine lettuce can be chopped without browning, other types of leafy vegetable may need to be torn). Prepare the dressing by mixing its ingredients together in a bowl, then toss the salad with it. You can if you want add additional items, such as anchovy fillets (note: the original recipe did not include them however), cooked grilled chicken breast cut into strips, capers, or roughly grated Parmigiano-Reggiano cheese.